Several years ago, my daughter was having a sleepover party for her birthday. She had the whole evening planned. Pizza, board games, cake, a game of Twister, and a movie. And with that, my daughter’s excitement in sharing with her friends something she found thoroughly enjoyable was unceremoniously deflated, like a pin, pricked into a prized balloon. Which makes me wonder, have black and white films become a relic of the past? Today’s kids, accustomed to movies in color being the norm, not to mention 3D, and out-of-this-world special effects and graphics, seem to have little tolerance for the cinematic gems of the past. Or what I call, the golden age of the silver screen. Yet, there’s so much these films still have to offer. Granted, they may look dated, but many of the story lines still resonate. Why else would today’s Hollywood moguls pore through the vaults of MGM, Paramount, and United Artists in search of movies to remake? Films like, The Shop Around the Corner, 1940, which was remade into You’ve Got Mail, 1998; The Big Clock, 1948, became No Way Out, 1987; The Mummy, 1932 and 1999; The Day the Earth Stood Still, 1951 and 2008; King Kong, 1933 and 2005; Cape Fear, 1962 and 1991; and Father of the Bride, 1950 and 1991. And, that’s just naming a few. 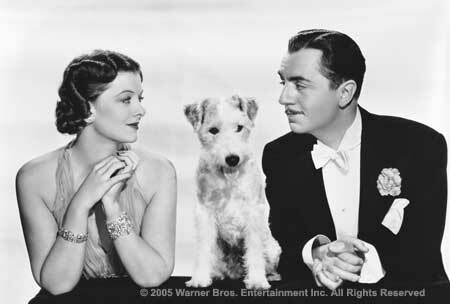 In fact, plans are underway for a remake of one of my favorites, The Thin Man, which will star Johnny Depp. Yet, when all is said and done, there’s nothing like the original. Black and white dramas have timeless morals, and the comedies, wit and snappy banter that inevitably leads to a happy ending. The horror films are all the more exciting because they leave much to the imagination, and the singing and dancing are pure delight. It’s not for naught that the American Film Institute’s Top 100 films feature black and white movies in the top two spots: Citizen Kane and Casablanca. If black and white cinema is a dying art (and thank heavens for The Artist for its attempt to revive it), then it’s up to us to take a second look at the legacy these classics leave us, and share them with the youth in our lives. So, the next time you have movie night with your family, consider staying home and watching a black and white film. Trust me, you watch them long enough and, frankly, you do end up forgetting they’re in black and white. My kids started watching these films at a young age, and, as a result, black and white is second nature to them. A Patch of Blue, a 1965 poignant drama about race relations and love, starring Sidney Poitier and Elizabeth Hartman. Myrna Loy, “Asta,” and William Powell star in the original, “The Thin Man,” based on the novel by Dashiell Hammet. Together, they made an additional five films for the series. So, are there any black and white films you recommend? Please add your favorites to the comment section below. Posted in Cinema, Film, Humor, Media, Miscellaneous, Pop Culture, Uncategorized	Tagged Abbott & Costello, Arts, Black & White, Black and White films, Bud Abbott, Cary Grant, Humphrey Bogart, James Cagney, Johnny Depp, Katharine Hepburn, Lou Costello, Movies, Naughty Nineties, Shop Around the Corner, The Thin Man, Who's on First?